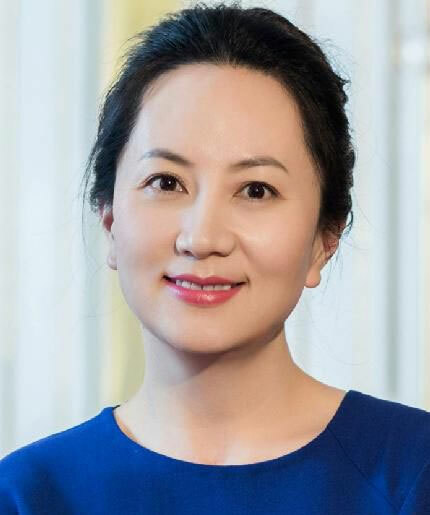 2 Meng Wanzhou, 孟 晚 舟, chief financial officer of Chinese hi-tech giant Huawei has been arrested in Canada and faces extradition to the United States. 2.1 Who is Meng Wanzhou? 2.2 Why was she arrested? Meng Wenzhou is known in China as "Princess of Huawei"
Meng Wanzhou, 孟 晚 舟, chief financial officer of Chinese hi-tech giant Huawei has been arrested in Canada and faces extradition to the United States. Meng Wanzhou, also known by the name of Sabrina Meng and Cathy Meng, was arrested on December 1st in Vancouver, according to a spokesman for the Canadian justice department Ian McLeod. In addition to being a financial director, she is vice president of the group board. Meng Wanzhou is the daughter of the founder Ren Zhengfei. Not much is known about Meng Wanzhou, born in 1972. The first thing people in Chinaask themselves is why her last name is different from her father’s. According to some rumors on the internet, Ren Zhengfei, the father, was once favored by his wife Meng Jun’s family. After being admitted to the university, he gave birth to his daughter Meng Wanzhou and her son Meng Ping. The woman changed the name to take her mother’s when she was 16 years old. The brother is working in Huitong, a Huawei service dedicated to airline tickets and hotels, to facilitate the company’s multinational services. Meng Wanzhou is the mother of two children, one of 10 and one of 4 years. Mainly responsible for the financial operations and management of Huawei, including financial strategy, risk management, financing planning, tax compliance and other services. She has held several senior positions in the company’s finance department, including President of Sales Finance, President of Accounting Management, Chief Financial Officer of Huawei Hong Kong, and Director of International Accounting. Meng “is wanted for extradition from the United States and the bail hearing was set for Friday,” Ian McLeod said in a statement originally reported by The Globe and Mail. McLeod also added that he could not share details about the case. At present, both police and prosecutors can not share information on the case. A spokesperson for Huawei has confirmed that Meng is held by the Canadian authorities. Huawei has stated that the woman has been accused of some unspecified charges. The US Department of Justice in April was investigating Huawei to determine if the company had violated US sanctions on Iran. The US Department of Justice has not issued any comment. A spokesman for the Chinese embassy in Canada issued a statement asking the United States and Canada to correct the errors and release Meng Wanzhou, adding that the embassy will follow the situation very closely and resolutely protect the legitimate rights and interests of Chinese citizens. Huawei, which manufactures smartphones and especially telecommunications equipment, is under indictment in the United States and other nations for the potential risk to national interests. The US, in particular, believes that the Chinese government can use Huawei’s infrastructure network to spy on Americans. The Pentagon has banned the sale of Huawei and ZTE products in American bases.